Built-in speakers save space on your floors and shelves. The wiring is hidden behind the walls. And paintable grilles make flush-mounted speakers nearly invisible. In-ceiling and in-wall speakers provide high-quality sound without cluttering up your decor. Want music in your kitchen without a speaker taking up counter space? How about a surround sound system without bulky speakers in the living room? 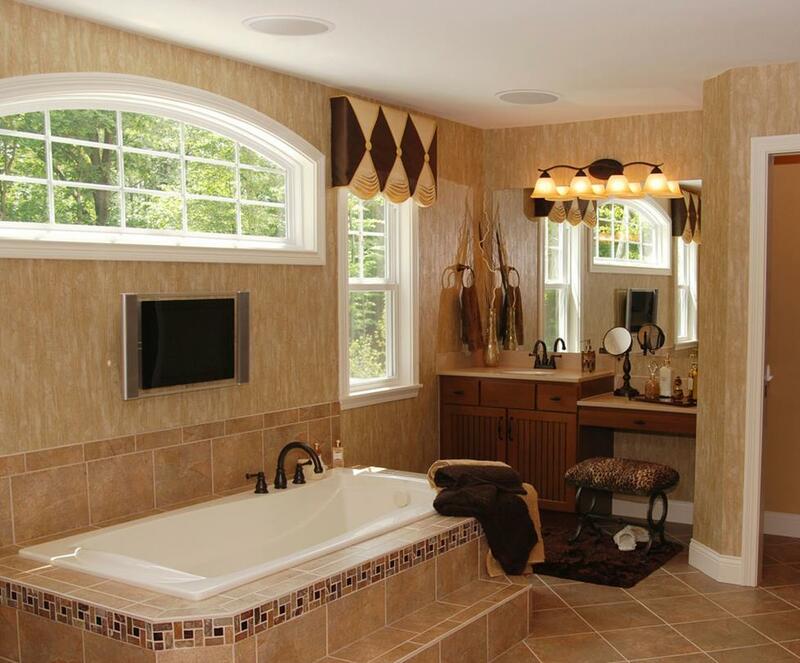 Generally speaking, ceiling speakers are best for multi-room music systems. In-wall speakers are ideal for space-saving surround sound. We'll show you the options for both. There are two main things to consider when planning your in-ceiling music system. First, how many speakers does each room need for good sound? That depends on the room's size and how it's being used. One or two ceiling speakers may provide good background music for your dining room. But say you have a large living room with a high-ceiling. You might need five or six speakers to get the volume you need when you throw a party. The other factor to consider is speaker placement. You want your music system to deliver even coverage throughout your room. This takes careful planning to get the best results. 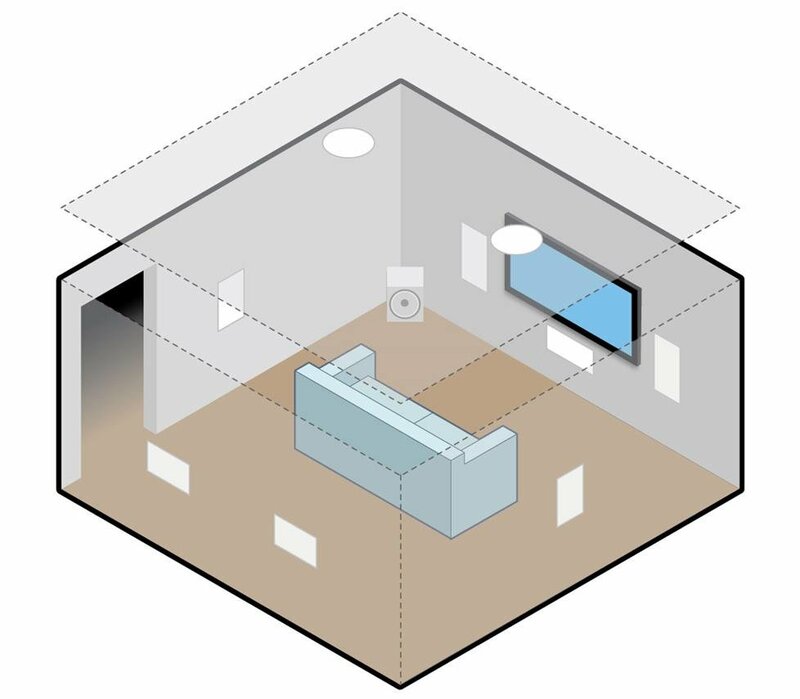 Your A/V Designer will map out the ideal locations for your rooms. 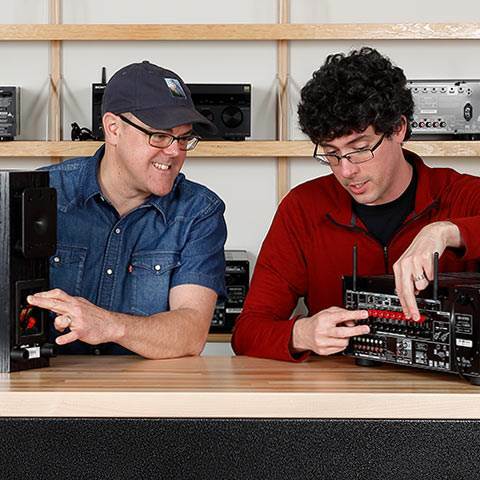 It takes experience and expertise to plan a good multi-room music system. Let one of our residential A/V Designers map out everything for you. Upload floorplans and photos of your rooms and your designer will draw up a system proposal. 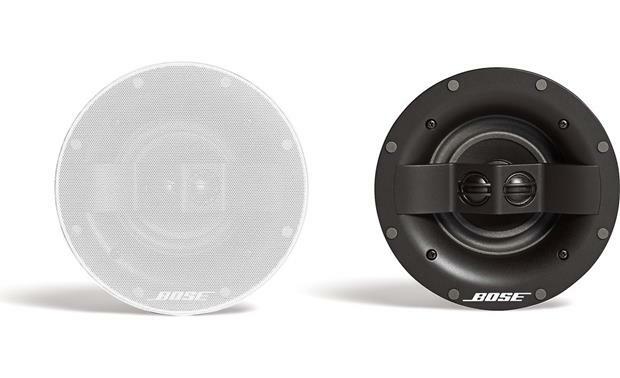 You'll see what size speakers to get, how much power you need, and where everything should go. You'll even receive a pre-loaded shopping cart with everything that you need. Let your budget be guided by the listening experience that you want in each room. Modestly-priced speakers are fine for background listening. But if you're passionate about music, you want a system that you can really jam to. Go for higher-quality speakers that deliver the live concert experience. Tell your designer about your performance goals for each room. He or she will help you choose the right equipment. 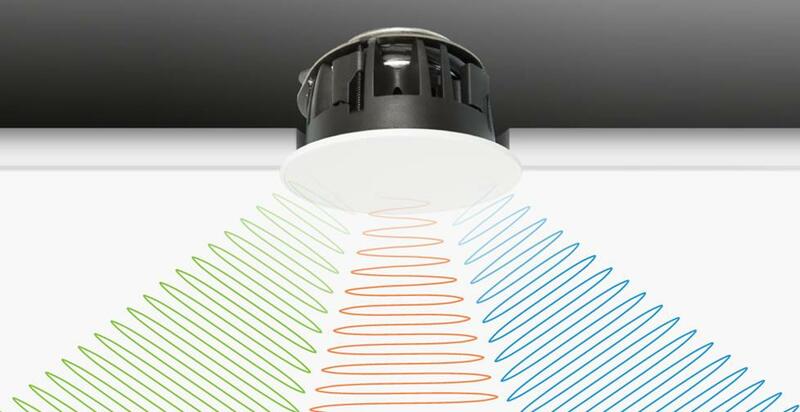 Many ceiling speakers offer a tweeter that can be rotated. Instead of sound going in one fixed direction, it can be directed towards you for better performance. Choose a speaker with an aimable tweeter to direct the sound exactly where you want it. Sometimes you want music overhead but just have room for one speaker. Stereo input speakers play both the left and right channels of music in a single location. They are a great way to add music to small spaces. Or you may want several of these in a room that's not well suited for stereo pairs. Stereo input speakers have two tweeters and play both the left and right channels of music. Some speakers use heavy-duty materials that hold better up in humid environments. They are perfect for withstanding steam in the bathroom or kitchen. You can even use them in the ceiling of a covered porch for music outside. Choose moisture-resistant speakers for areas with high humidity. They're ideal for bathrooms, kitchens, and saunas. Most in-ceiling speakers only require a few inches of mounting depth. But some are 8 or 9 inches deep, because they have extra large woofers or they have enclosures (back boxes) built around them. 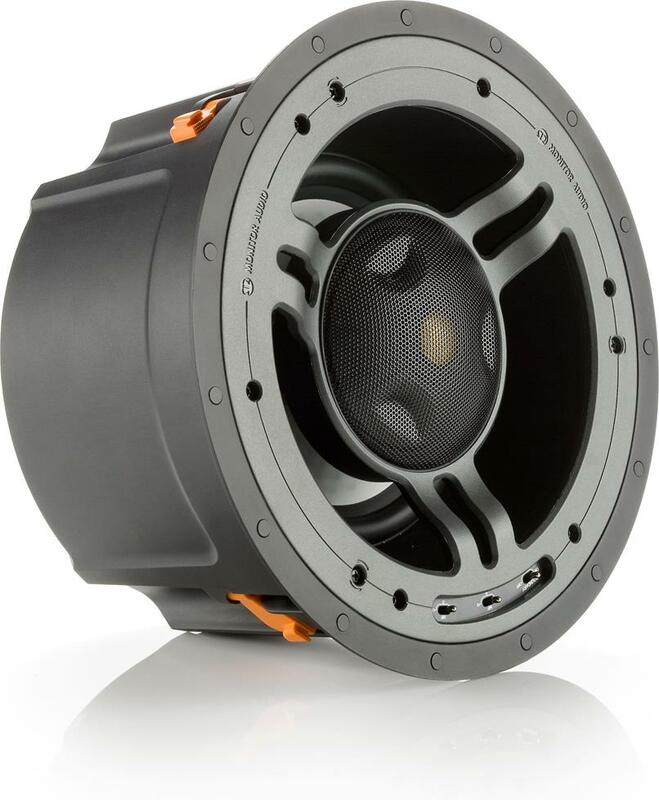 Enclosed speakers offer excellent bass performance. But the extra depth can pose a fit problem in some homes. Check the speaker measurements to make sure they will fit between your ceiling and the floor above. Self-enclosed speakers offer great bass, but are extra deep. Be sure to measure your mounting depth to make sure your new speakers will fit. Sometimes sitting down to listen to music — and doing nothing else — is good for the soul. If you have a room where you can do dedicated listening, consider in-wall speakers. When placed at ear-level, they provide a more direct field of sound and a "sweet spot" for stereo imaging. 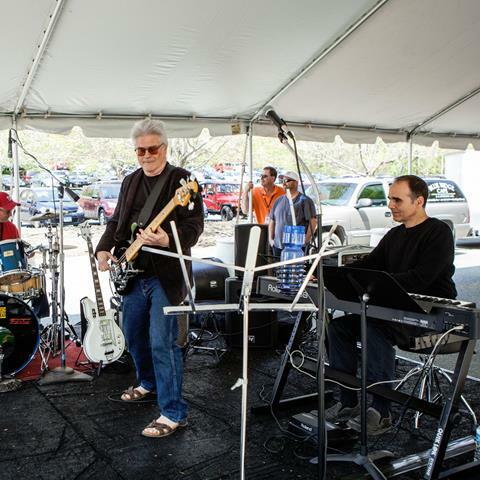 This makes you feel more like the band is live on stage in front of you. Carefully placed in-wall speakers provide a front-row listening experience for music. 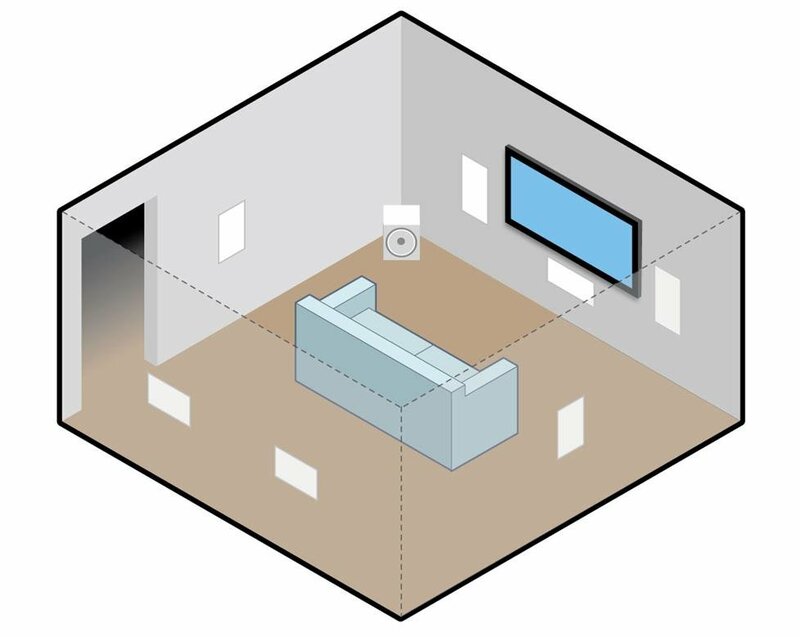 Here's the typical in-wall speaker placement for a 7.1 surround sound system. Every speaker brand has subtle tonal qualities that are unique to them. This makes for a distinct audio "voicing". If you were painting a room blue you'd use the same shade for all four walls. You wouldn't paint one wall a different shade of blue than the others. You want them to match. Speaker voice-matching works along the same lines. You want to use the same brand of speakers throughout your room. This gives you consistently great sound as action moves all around you. Most in-wall speakers can be used for your left and right channels. They install vertically on either side of your TV. The center channel is perhaps the most important speaker in your home theater. It's responsible for the movie's dialogue. It installs horizontally, typically below your TV or projector screen. Use a center channel that has a tweeter in the middle of the speaker. This balanced design provides even dialogue for all of your seating locations. Choose a center channel speaker that has a tweeter between two woofers. This lets everyone hear dialogue clearly. Adding speakers beside and behind you makes you feel like you're a part of the movie. Consider using surrounds that feature tweeters that fire in different directions. This design delivers lifelike sound in a wide area. 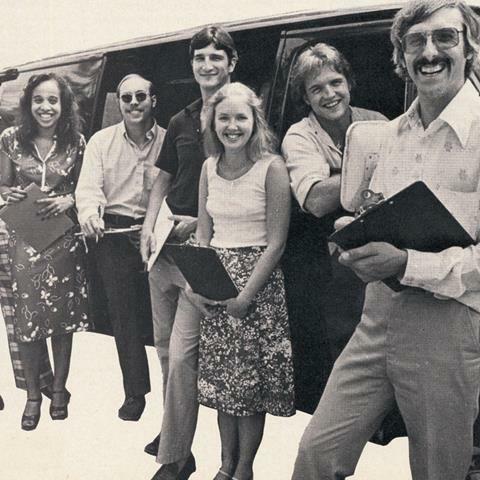 Everyone gets wraparound effects - especially if you have multiple rows of seating. No home theater is complete without a subwoofer for the low end. For a completely invisible system, install a sub into your wall or floor. These sneaky-good subs get their power from an external amplifier. Install a subwoofer into your wall for impactful bass without taking up space. A separate power amp provides power. Want an immersive home theater with sound coming from all directions? Create a Dolby Atmos system by installing speakers into your ceiling and connecting them to a surround sound receiver with Dolby Atmos decoding. You'll feel the rain gently failing through the trees in the jungle. You might even duck when the helicopter swoops down from the sky. You don't need special ceiling speakers to make Atmos work. But you do need a Dolby Atmos-capable receiver. 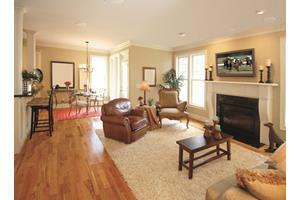 There are numerous ways to set up a flush-mounted surround system. For more information, check out our in-wall and in-ceiling speaker placement guide. It's important that you use speaker wire that's approved for in-wall runs. You want UL-rated wire that's labeled CL2 or CL3. Check out our ceiling and wall wiring guide for more info. If you have access to your wall studs or ceiling joists, use pre-construction brackets. They provide a more stable and secure mount for your speakers. They also act as a speaker placeholder when the drywall is being cut. Your ceiling speakers may have another room located above them. Use speakers with back boxes to limit the sound that leaks through. Back boxes also improve bass response by providing an enclosure around the speaker. 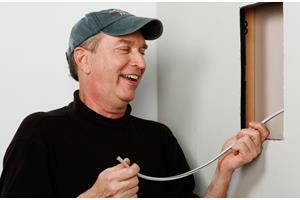 For a simple way to control your music's volume in each room, install an in-wall volume control. For info on how to drive speakers throughout your house, check out our multi-room power guide. Self-installing? Check out our in-ceiling and in-wall installation guide. Hi, we are doing a remodel and planning for ceiling speakers in our kitchen, family room, dining room, and living room. 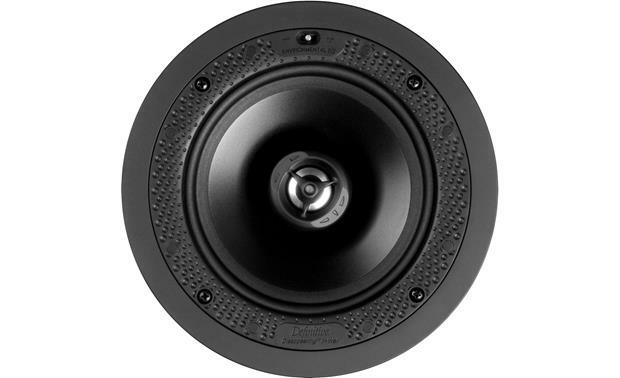 I'm considering the MA 6.5" 2-way in-ceiling speaker. Will be used for music, except in the living room where they will also be used for back speakers in 5.1 surround sound (with Sonos playbar and sonos sub woofer). How do these Monitor speakers compare with Polk, Bose, and others? Hi Paul, both Polk and Bose make nice in-ceiling speakers. But I personally prefer Monitor Audio, and would choose their speakers for your new system since the gold dome tweeter they use is the same one found in their highly acclaimed bookshelf and floor-standing speakers. They'll do an excellent job with both music and surround sound effects for you. 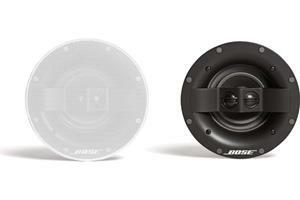 Hi Phil, yes I'd stick with Bose for your in-ceiling speakers. The Virtually Invisible 591 or 791s would be an excellent sonic match for you. Hey John, we can certainly help you get your new system going. I'm going to put you in touch with one of our Advisors, who will reach out to discuss the best options. I just purchased a new house with in-ceiling speakers installed in several rooms and porch and all appear to be wired in to a speaker selector (Russound SS-6). 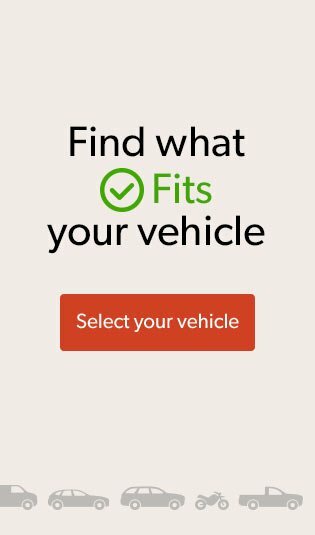 I'm a bit of a novice and not sure what additional device(s) I need to begin using the system. Ideally, I'd like a system where I can stream music from my iPhone and possibly Alexa. Hi Mohit, it sounds like you're going for an in-ceiling home theater system. These can be tricky, since overhead speakers can make the sound feel like it's coming from above your TV/projector screen, instead of from it. I usually recommend in-wall speakers for your front left, right, and center speaker locations if you can do it. If you do go in-ceiling for the front speakers, I recommend going with a model that uses angled drivers to bring the sound down towards your seat, like the Revel C763L or the PSB C-LCR. These are more expensive than the Yamahas you're considering, but far better in terms of performance for your large room. As for two-way versus three-way, there's no appreciable sound quality difference between the two designs. It shouldn't factor into your speaker considerations in my opinion. Feel free to give us a shout for a free system design for your new room — we're happy to help anytime. Hello I have a media room which is 19 by 14. I have pre-wiring for 5 inceling speakers. I am planning to get Yamaha Speakers NSIC800WH and one of my friend told me that I should be getting 3 way speakers. Can you please suggest which one should I get? I need decent amount of sound in my room. Hi Rollie, will this system be for music, home theater, or both? If you're going for home theater, you'll need a center channel in addition to the two left and right speakers. 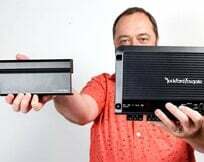 I'm going to put you in touch with one of our Advisors who will help you choose the right speakers for your new system. Stefano, pretty much all in-wall or in-ceiling speakers need to be hard-wired back to an amplifier. That's because we typically want to avoid having power supplies/amplifiers in an enclosed space (like behind drywall). That said, I'm going to put you in touch with one of our Advisors, who will walk you through speaker options for your home. Hi, I recently purchased a new home and it came with 8" in wall speakers (2 in front, and 2 in back). They were installed in the 90's and after talking to the previous owner I want to replace them. They are all in the main living area that has tall vaulted ceilings (around 20'). Is there anything different that I should do when looking to replace them? Hello everyone. I was wondering whether exists a sort of wifi audio system for in-ceiling/wall speakers. Could anyone give me some tips or even some guide lines to have a decent infrastructure? Thank you all in advance for support. Brandon, it's true that your center channel is the most important speaker in your system, since it handles over 50% of a movie's soundtrack, including nearly all of the dialogue. It definitely pays to get a good one. That said, an in-ceiling front soundstage is tricky. 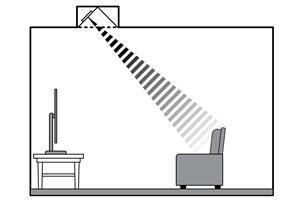 Overhead speakers in the front of the room can make the sound feel detached from the TV. I highly recommend in-wall speakers for your front left, right, and center speaker locations if you can do it. If you do go in-ceiling for the front speakers, I recommend going with a model that uses angled drivers to bring the sound down towards your seat, like the Revel C763L or the PSB C-LCR. I'm having a new home built and pre-wired for 5.1all ceiling speakers. I'm being told that I should spend more money (or get a better quality) center speaker than the other four. Do you agree with that? Thank you. D.B., great questions. I'm going to have one of our advisors reach out for free one-on-one help on finding the right gear for your new system. I'm looking to put 4 or 6 speakers in an small, open concept kitchen/living room. I'm looking to find out the odd nature of the room affects speaker performance and placement. The roof/ceiling is a single pitch - about 10' high away from the t.v. and 16' high at the peak. The t.v. is about 9' from the couch; the width of the living room/kitchen is 23'. Hi Johnny, you'll need 12 individual channels of amplification to drive your proposed system, so a home theater receiver won't quite be up for the task. We have a variety of multi-zone power amps that will do the trick though. I recommending reading our article on powering multi-room systems to get started. You can also give our A/V Design folks a call for a free system proposal. Hello. Will an 11-channel receiver be enough to power the an entire two story house with 12 ceiling speakers plus a sub? All the wiring will feed into a single location and here is the breakdown of the speaker locations: I will have four ceiling speakers and sub in the great room, two ceiling speakers in the dinning room, two in the master bedroom, two in the loft and two in the master bathroom. My plan is to enjoy multi-room audio while using a single receiver. Thanks. Hi Peter, yes, in-ceiling and in-wall speakers are largely interchangeable. They are built very similarly, with the tweeter placement being one of the big differences. 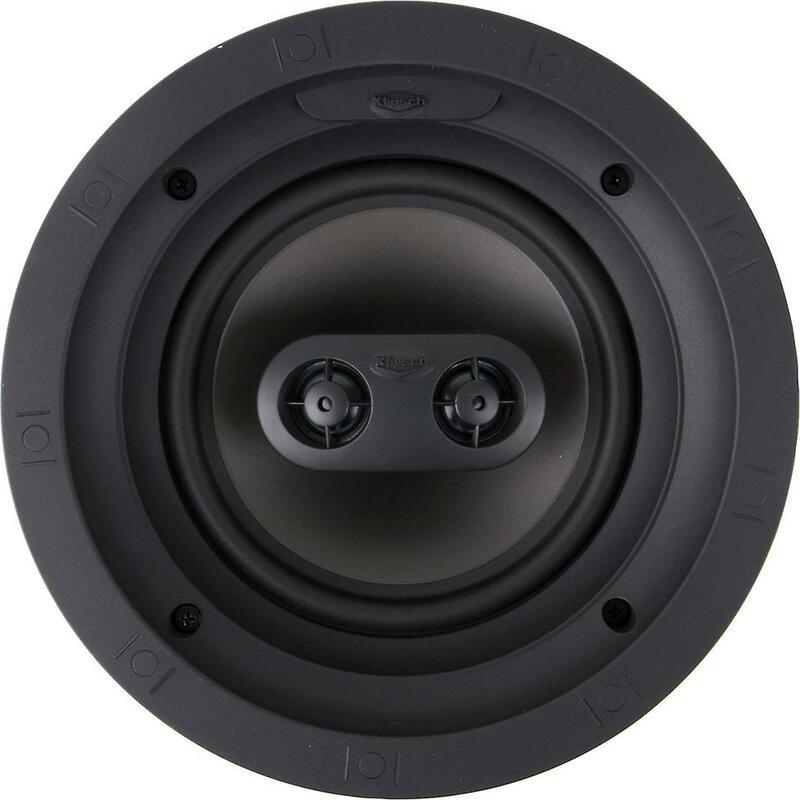 Most in-ceiling speakers have a concentrically-mounted tweeter, while in-wall speakers usually have the tweeter located above the woofer on a separate plate. The performance differences are very small. 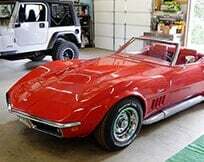 The big difference between the two is cosmetic. 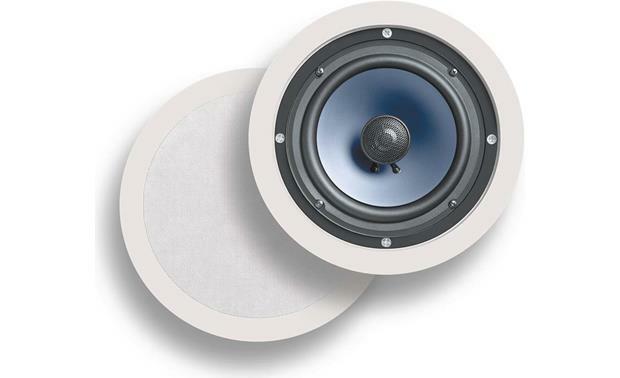 In-ceiling speakers come with round grilles to match the aesthetics of round lights. In-wall speakers come with square or rectangular grilles (think picture frame). 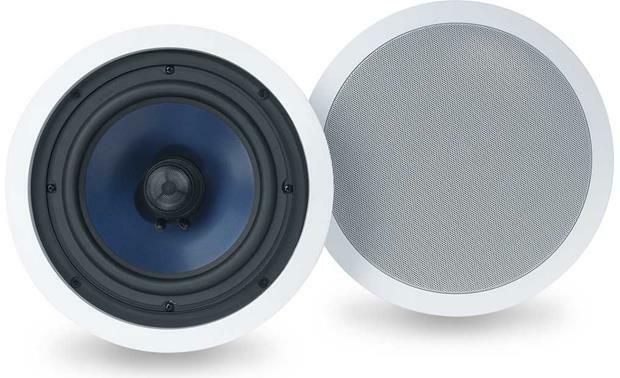 Some in-ceiling speakers like the Revel C363 come with both round and square grilles to match your decor. You can use either style speaker for the wall or ceiling provided there's enough mounting depth, frame support, etc. can in-ceiling speakers be mounted in a wall instead? What are the pros and cons of this approach? Hi Chris — great questions. I think overhead speakers for the side and rear surround locations are an excellent choice for your basement. They'll provide powerful sound effects and will be a nice complement to your front soundstage. If you go that direction, I don't recommend also installing Atmos speakers. Since you'll already be hearing lots of overhead special effects and surround information, the added benefit of the Atmos channels would be negligible. I like the Klipsch CDT-5800-C II for your system quite a bit. I do recommend going with Klipsch Reference tower or bookshelf speakers (and a matching center channel) for your front speakers to keep your system voice-matched. A 7.1 Klipsch system is hard to top. Give us a shout with any questions, and good luck with the build! I'm building out my basement and looking to install the surround (both rear and side) during the framing phase. 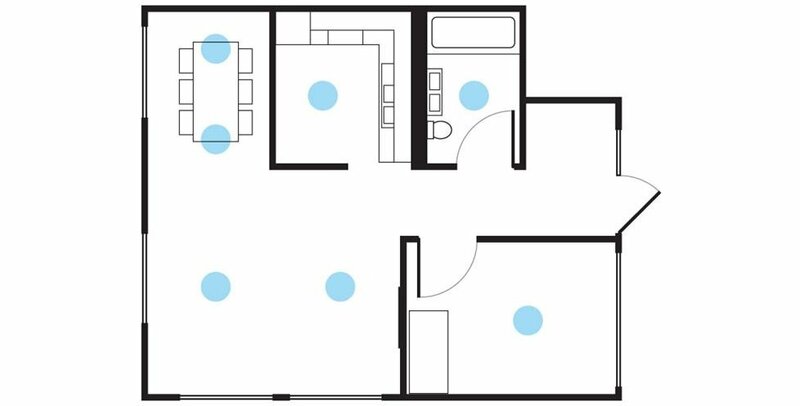 Room and furniture placement would really make using ceiling speakers ideal rather than in-wall or free-standing for side and rear (rear of the room will be too far from seating area to use in-wall for rear). I really like the Klipsch in-ceiling speakers (ex. CDT-5800). Is there any reason not to go with those for side and rear in-ceiling surrounds with the tweeters directed to the main seating area? What about adding another two in-ceiling for Atmos? Would the 6 speakers all be in too close proximity and drown each other out? I was looking at the Dolby site and they don't mention in-ceiling for the surrounds. Want to make sure I get it right from the beginning. Hi Andy, congrats on the new home! 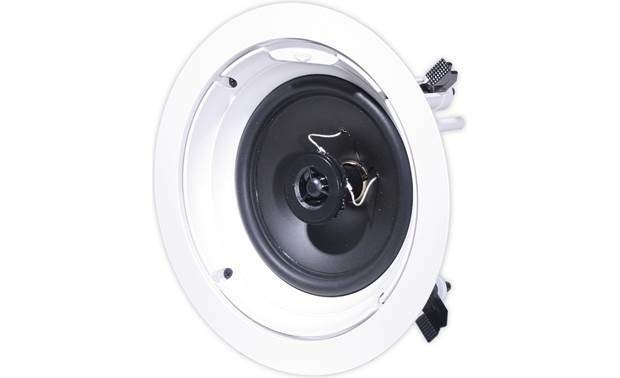 Here is our selection of in-ceiling speakers. On the left side of the page, there's a selectable filter for the cutout diameter of the speaker. That will let you see all of the speakers that will fit your 8" openings. I'm a big fan of Polk Audio for a room your size. Most of the time, a home theater's subwoofer sits on the floor (as opposed to being installed into the wall or floor). You have a wide range of choices available, and yes — you'll definitely want a sub as part of your system. 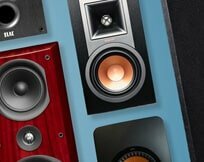 We are happy to help you choose the right speakers for your room. Feel free to give us a call for a free personalized recommendation. I just purchased a home that has a bonus room the previous owners used as a home theater. Unfortunately, they decided to remove all of the components, but they did leave all of the wiring, so I am in the process of trying to bring the room back to it's former glory. 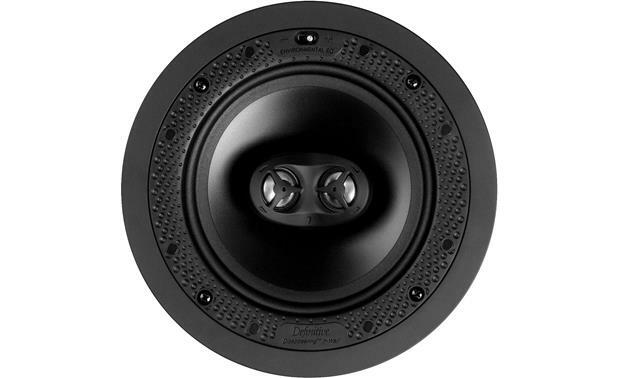 There are (5) holes for ceiling speakers, and each one is 8 inches in diameter, so my question is what size speakers should I be looking at (8in, 6.5in, 5in?) and do you have any recommendations for speakers to use in a room about 200 sq ft in size? Also, is a subwoofer necessary anymore? That's the only component I cannot find any wires for in the room, so I'm not sure they even had one. Thanks! Hi Laura, I've sent your questions to our advisor group. They'll reach out via email with a personalized recommendation for your new deck. My husband and I just added a 22X 28 covered deck onto our home. We added a TV outside, but the sound from the TV is less than desired during the day time ( we live by a fairly busy main road). We were looking at adding speakers in the ceiling. How many speakers should we add and what would be a good brand or model for outdoor use? Hi Kyle, I've sent your questions to our advisor group. They'll reach out via email with a personalized recommendation for your new system. My house was pre-wired for speakers when we bought it. With that in mind, I am trying to decide what to purchase. I don't need bluetooth speakers (because the wiring is already behind the walls) but I would like the system that connects to the wires to be bluetooth. Does that make sense? Any help would be greatly appreciated. Great questions Chris. Designing a new system like yours is often a balance between aesthetics and performance. Generally speaking, the closer the speakers are to ear level the better your system will sound. Ideally, your three front speakers should all be about the same height. I know it's tempting to go with all in-ceiling speakers since they look very clean and don't take up any space. If you go that direction, consider models that have angled drivers that direct the sound towards you. 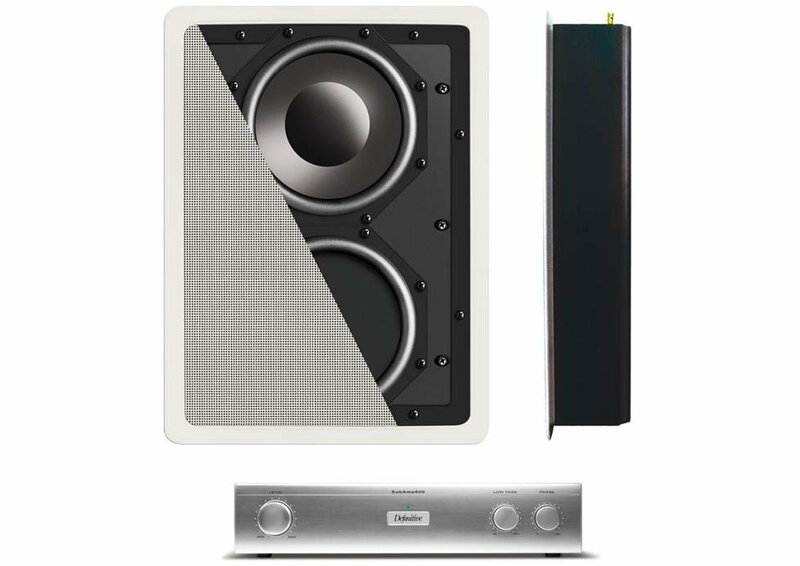 ELAC and PSB each have options that are ideal for your room. I would like information as well regarding in-ceiling speakers for home theater. We're having a home built, and the builder put all 5 speakers pre-wired in the ceiling, with the TV mounted above the fireplace. It's a pretty big room 21'x18' with 9-ft ceilings. That room is open and goes into the breakfast area and the into the kitchen - are we ok with a ceiling mounted center and front left/right speakers or should I have a wall-mount center? Hi Rob, congrats on the new house! I've sent your questions to our Advisors. They'll be contacting you via email soon with a personalized recommendation for your new system. Working on plans for a new house and I have 2 challenges (1) Very large family room (2) Wife insists on In-Ceiling speakers and no sub. Fortunately she will let me do 4 speakers in the room. Considering the forthcoming PSB 610, Klipsch R-1800-C, Definitive DI 5.5R, what else should I be looking at? David, they sure do! You can see all of Sonos' streaming services here. Will sonos stream amazon prime music? Hi Dennis, generally speaking it's ideal to stay consistent with the same brand of speakers. But it's not a hard and fast rule. You can still get superb sound by having different brands of speakers in your system. Mirage and Klipsch are sister companies, and share similar sonic qualities. Take a look at the Klipsch R-1650-C and the Klipsch R-1800-C as two good options. Both match really well with Mirage speakers, and will make great Atmos speakers in your system. I hope that helps! Feel free to give us a shout if you have any other questions. Hi Joshua, you mentioned in your guide above the important of voice matching, so you're recommending the same brand of speakers throughout the room. However, I've a set of 5.1 Mirage speakers that I want to reuse in my new media room that I'm constructing in my basement. I plan to upgrade my receiver to a new receiver with Dolby Atmos decoding, so my plan is to install 4 ceiling speakers. 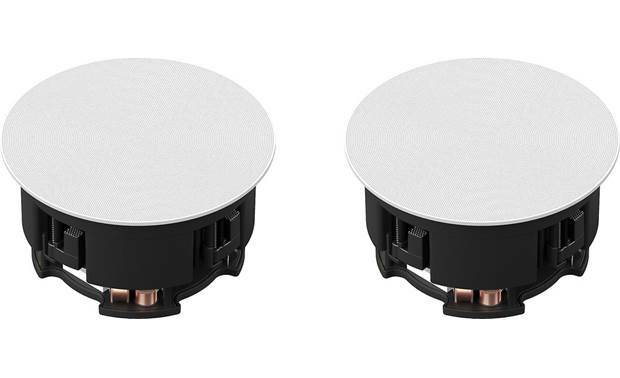 Unfortunately, Mirage has discontinued their Omnican ceiling speakers, so my question is which brand of ceiling speakers would most likely match the audio "voice" of Mirage speakers? Any advice you may provide is greatly appreciated. Hi Ben, congrats on the new house! A common way to power 12 speakers would be to use a multi-zone amplifier with a music streaming device connected as a source. 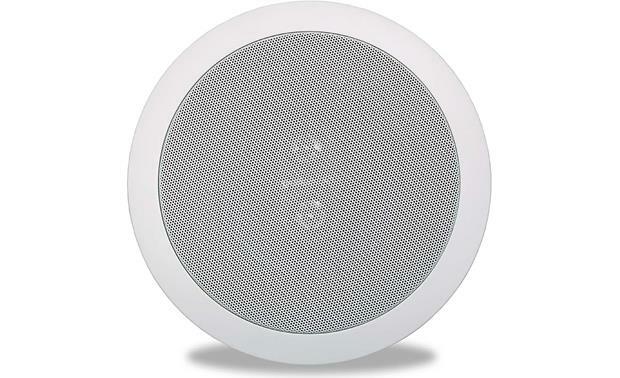 For example, you could use the SpeakerCraft SC12-30 with a Sonos Connect and pick songs right from your iPad or iPhone. 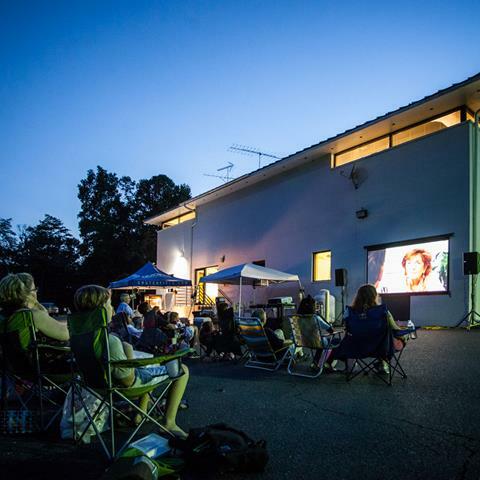 I recommend that you give our A/V Design group a call and they can give you a free system proposal that has everything you need to get up and running. I just moved into a new house with in ceiling speakers in six rooms. all wires are run to a central location in the basement. I am looking for a speaker selector or other device I can control from my ipad to stream music to any or all rooms. Help! 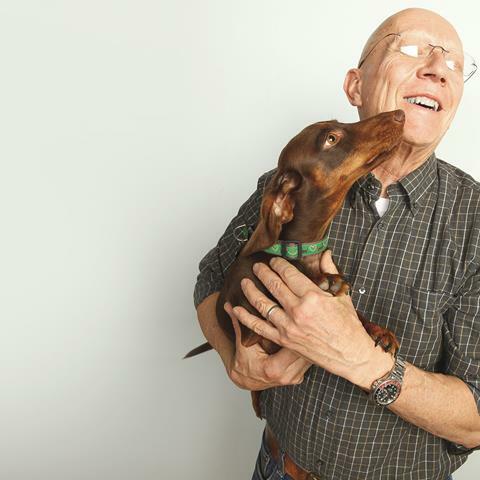 Carl, congrats on the new home! Ideally, your center channel will be either above or below your TV. This ensures that the dialogue that you hear matches up with what you're seeing on the screen. However, depending on the height of your ceiling and the layout of the room you might be better-suited to use an in-ceiling center channel. I'm going to put you in touch with our Advisors so they can get a little more information. They will then be able to recommend the best equipment for your system. Hi, I am building a new home and will have surround sound in an open living room. It will be in ceiling speakers and i am a little concerned out picking the right center channel for this open space. Would it be better to put a center channel below the TV or is there a good in-ceiling center channel i can get with out breaking the bank? Steve, check out the Polk Audio RC6s. It's a moisture-resistant, stereo-input speaker that we've had great success with in bathroom installations over the years. Can you please list some "moisture-resistant" ceiling bathroom speakers? 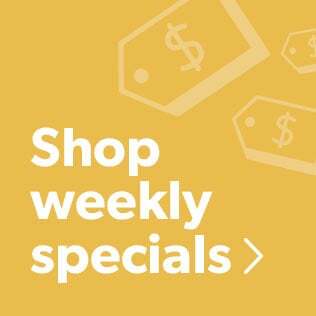 I'm looking specifically for one stereo speaker instead of a pair. Hi Abby, virtually all of our recessed wall or ceiling speakers will wire to an amplifier the same way. If you're looking to minimize wiring, you're going to be best off with a self-powered speaker like a Sonos PLAY:1 or PLAY:3. We've recently picked up some new Flexson ceiling and wall mounts for these speakers. That might make a low-footprint installation preferable to installing and wiring traditional speakers in your plaster walls and ceilings. For more detailed help choosing the right speakers for your home, please contact our Advisors via phone or chat. They are happy to discuss all of your options with you! Which speakers would you recommend for someone whose priority is to do the least amount of wiring? We have plaster walls and ceilings throughout most of our house and I'd like to minimize the number of holes and patching we'd need. I thought I'd found some speakers that had built in amps and only needed to be connected to a power source....is there such a thing? Basically, I'd love if Sonos created in-ceiling speakers that only required a hard-wired power source. Although my husband wants to stream music from our computer, so I'm really not sure which system would work best. Eric, I sent your questions to our sales team for the best answers. They'll be contacting you via email soon. For immediate help, you can contact them via phone or chat. I kinda set my house up wrong when I built it but I put speaker holes in sheet rock in the ceiling. Basically due to design of room I got 2 holes in front of room around the TV and 3 in the back of the room. Was curious best solution to make my TV den downstairs sound the best. Also I would have a floor sub and but what else might i need. "It depends on the insulation. If the insulation is paper backed you will have to cut away the paper at the least. Compressing the insulation will reduce the R factor for sure. So it is hard to say if the remaining compressed insulation provides greater R value than simply leaving a pocket. Blown insulation that is flaked will simply fall out of the hole. Insulation that expands and solidifies will need to have an entire pocket cut away to gain air space or go with the closed back Monitor Audio models. I would say the thickness of the exterior wall studs and type of insulation would dictate my final decision." "The insulation is not a problem as long as it is standard batting. If it's the loose blown-in insulation a layer of paper or plastic should be used to keep the insulation from getting around or in the voice coil." I hope this helps, Russell. As far as the sound is concerned, I imagine that as long as there is some open air space behind the speaker for it to "breathe", sound quality shouldn't be adversely affected. I'm planning on putting a pair of Polk Audio RC85i in an exterior insulated wall. Will the insulation effect the speaker or the sound output? Should the insulation be cut away from the speaker? Gary, I'm not sure it makes a lot of difference as long as there is adequate clearance to accommodate the mounting depth of your speakers. You may want to give our advisors a call just to be sure there aren't any other issues to watch for. Thanks for your question, Ellie. 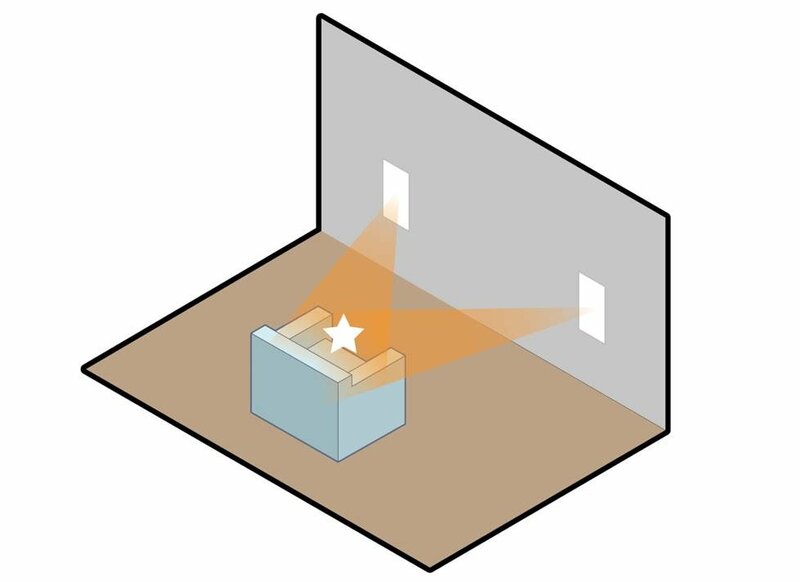 Generally speaking, in-wall and in-ceiling speakers have no internal power source of their own, so they must first be connected to a receiver or power amplifier in order to play. The connections are made using speaker wire run behind the walls from the receiver to the speakers. Your music sources, like your computer or a Bluetooth source such as your smartphone, must first be fed into the receiver, where it is amplified and sent out to the speakers. For more help choosing the right in-wall or in-ceiling speakers to suit your home, please contact our advisors via phone or chat.